Here is an interesting prophecy that I saved from last year. It matches up with what Dumitru Duduman also saw coming for America. He was a faithful pastor and Bible smuggler in his native land Romania. This prophecy comes from a woman in Haiti, who also had a revelation for America. This prophecy was 18 minutes but not translated word for word. This message was not changed except for the yellow highlighting on my part. 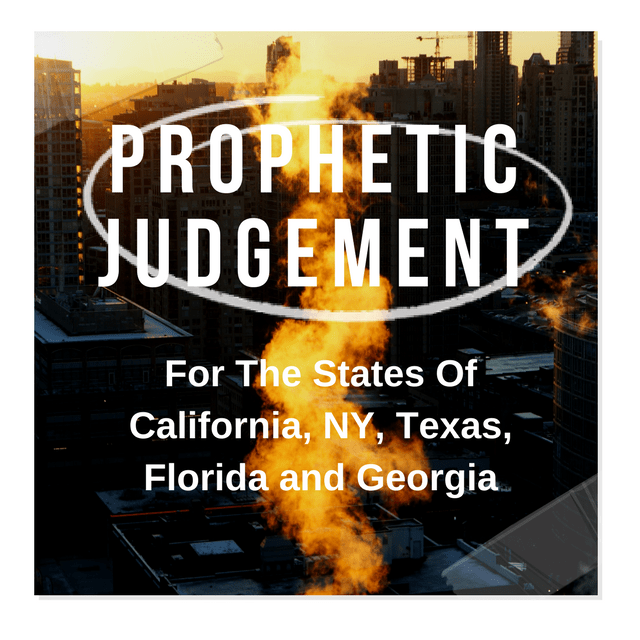 When Dumitru moved to America, he received a vision from the Lord and Gabriel showed him all of California, Las Vegas, New York, Nevada, and Florida and was told that these cities were as Sodom and Gomorrah and that in one day it would burn. He also stated the nations that will attack and destroy America are Russia, Cuba, Nicaragua, Central America, Mexico, and 2 others that where forgotten but one may be China according to Henry Gruver’s vision of the destruction of America. 3 month ago , my mom send me a audio of my cousin ( she live in Haiti ) where she had a revelation dream about what is about to come in America and i wanted to share with you his dream so you can know what is coming and be prepared , she speak Creole so i translate in English what she dreamed , the audio is 18 min long so I only share the most important in the dream…. After he show her a big clock and say * the States i show you will burned soon and there is not much time left * and she saw 11:55 and say * in 5 min ( Real quick ) , the states i show you WILL BURN AND turn to ash , the States i shown you , this is where they will attack..
2 week after i hear this audio , i had a dream where i was in sitting in my bed and hear a voice ( God ) say to me * Sodom & gomorrah AMERICA * and i see in my clock the ’11:55 ‘ …. – The Angel say , Russia ,Syria ,Mexico ,Egypt , North Korea, Iran , Afghanistan , some in the central and other country will formed an alliance all together to eat ( Destroy ) America and Russia will be the first one to attack and the rest will follow ( invade etc )..
– if someone who remove things in the bible but put his own words ( like make a correction , change the scripture they don’t think what is written good and replace with other word ), they don’t belong to God , and he mentioned only one who done this , the Jehovah witness , he say like the way how they work etc but helas if someone change something in the bible , he already in the wrong road ( something like that )..